Teslagrad - a 2D puzzle platformer developed by Rain Games caught my attention a few months ago and with some Christmas Nintendo eShop money to spend, I took the plunge and bought it. When I first started it up, I was immediately impressed by the art style and music. The title screen animation blends seamlessly into the next scene as soon as you pick “New Game” and then your first mission is to run and run fast. No words. No other forms of narration, just you and the game. Yay. These early praises pretty much match what others think of this game by this point - but little did I realize, I was about to play one of the hardest games I have ever played in a long time. I don’t want to give too much away here in this review but basically the puzzles and platforming revolve around magnetism. Blue and Red glowing blocks/flowers/mini bots litter the world and it’s up to you to navigate your way around using the power of magnetism to your advantage. As you progress through the world Metroid style (A map unfolds before you on your tablet as you explore), you gain a few new skills like being able to change the polarity of the magnets by punching them or teleporting a short distance forward to help you with longer jumps or going through barred (cage like) barriers. Pretty neat. As you are playing the game, you learn about what’s going on by paying attention to the beautiful backgrounds of the world, the little puppet drama plays that you come across, and the Illustrated scrolls you collect which you can also view on your tablet. These scrolls are very hard to collect most of the time because of where they are located and you are given no hints on where they are or how to get them. There are 36 of them apparently but you only need 15 to progress till the end. The platforming becomes increasingly tougher as you go on - you will die - and die lots. This game is all about instant deaths, including during the boss battles and this can turn a lot of people off - especially when the controls are not as tight as they should be. You only have the option to play with the tablet and even though you can thankfully change your button configuration around, it still doesn’t prevent you on some cases trying to do 3 or 4 actions at once on the controller which some levels demand. (Moving/jumping/teleporting and switching magnetic auras for instance to get across a pit of electricity). It’s quite difficult - to almost frustrating proportions that hinders enjoyment of the game or motivation to go back for more. Some areas I never want to see again and that’s something that destroys any replay value - especially for me. Inconsistencies among the powers of the magnets throughout the world can make platforming in this game a lot harder then it should be. For instance sometimes it can be tough to get off the ground (by using an items power) to get to a higher ledge and other times you are flying across the screen - way too fast to avoid a nearby hazard. Hit detection is also slightly off and I found myself dying on things I had passed before by doing the same thing that worked previously. Boss battles, although cool, are especially guilty of this and the one hit kills demands perfection - with some luck. Despite this, the game overall drew me in enough to finish it. The game world seems fresh and you are always eager to find out what’s next. If the controls were a little tighter and the gameplay with the magnets were a little more refined to help platforming seem more natural, I would have enjoyed this game a lot more and perhaps been eager to replay it again. It’s hard to describe the feeling but I’ve played tough platformers before (DK/Special Mario Levels/Rayman) and when you died you always knew it was because of you - but in this game you tend to second guess that on more then one occasion. For $14.99 this game is on the short side - despite me dying a hundred gazillion times, it took me 6.5hrs to beat. Download this if you have some money to burn and crave a challenge. A good effort by Rain Games. I've definitely been interested in this game. Sounds like a solid effort. The art truly is nice. This is a well written review. I just finished completing this game 100% today, and enjoyed it quite a bit. I agree that the controls weren't super tight, but I didn't have a huge issue with them. I love the game's story and the way it's told. I've never been big on environmental storytelling, but something about this game really pulled me in. It reminds me of Azure Striker Gunvolt, where the game has a style that I adore. 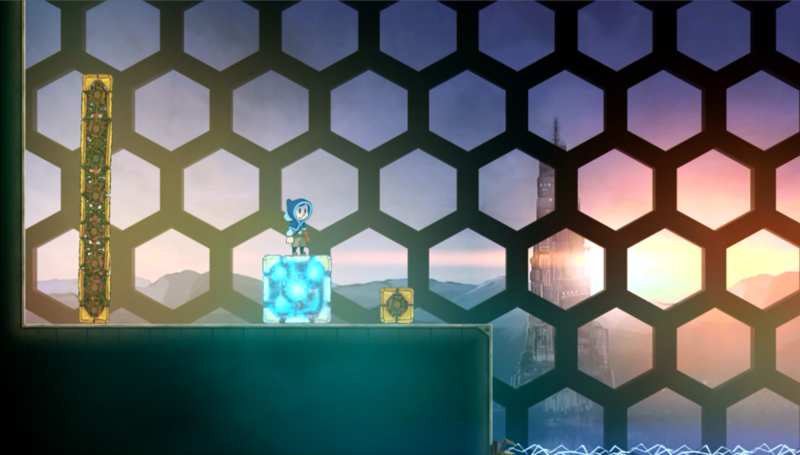 Teslagrad, however, has more substance to back that style up than Gunvolt did. 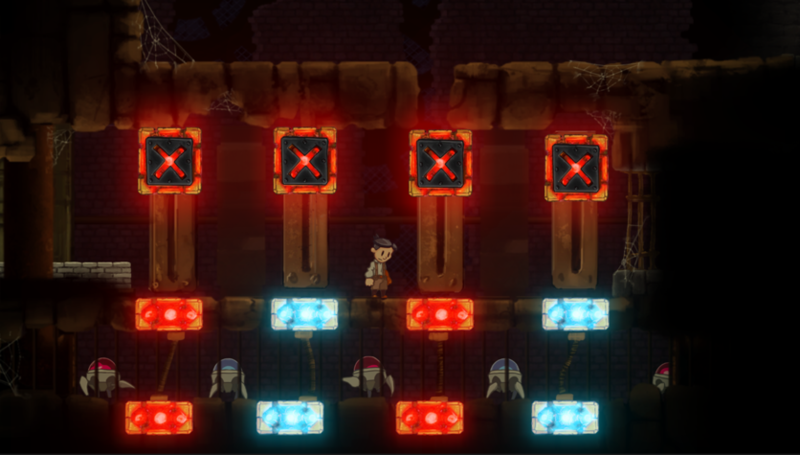 The mechanics are great and work well into the fantastically rewarding puzzles. I never got frustrated at a puzzle because the game didn't explain something about its mechanics or rules, which is a huge sign of good design. The puzzles are engaging to complete and the reward of gaining access to more of the game's art and story are a high point for me. It's so much fun to find small details that shed light on the lives and culture of the people who once inhabited this tower. The music also sets the tone of the game perfectly. I think this game is easily worth $15 for sheer quality alone. 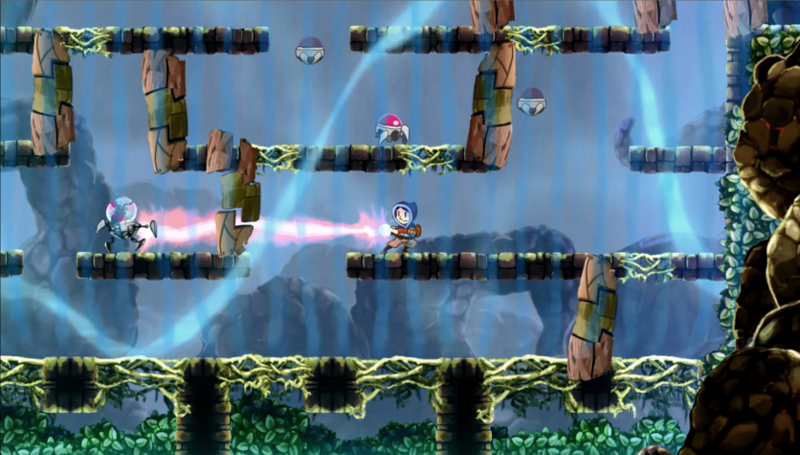 Teslagrad is in close competition with Child of Light for my favorite Wii U eShop game. 100%? Well you truly are a hero That's great. I wasn't really frustrated at the puzzles themselves (I'm a huge Layton fan) but I found some areas very difficult to navigate around - which hinders on controls/some hit detection. That being said, there are a few reviews out there for this game that mirror my own but most align with your very brief but informative comments. This one has put Rain Games on the map for me - I look forward to their next big project. Finally put some real time into this game. It's pretty good! Love the huge tree. Something about climbing up trees in games really gets me. Nooooo it pulls a Metroid Prime near the end. Sort of. You have to have 15 scrolls to progress and I only have 12? which means I get to run around the game looking for more. I'm not even sure if it shows where they are on the map either. Blah. Good to know. I might start this game soon. Yeah I guess my advice would be collect them whenever you see them (if possible) so you have less to go run around collecting at the end. The art style really interested me from long ago. I got a $50 points card waiting to be used and I figure I'll grab this, Shantae, and Trine Enchanted. Sorry Zero! I blacked those out (number of scrolls needed) in my review... Good news is that there are 36 I think so you have a high chance at getting a few more fairly quickly. Here's a map of the scroll locations. It's not too strenuous to go back and get them. It's kind of rewarding, in a way, to revisit old puzzles and skip over them with your new items and abilities. There were only a few scrolls that I got stuck on, meaning that if you encounter a scroll you don't feel like getting you can easily skip it. Finished it up tonight. Pretty solid game! Didn't blow me away or anything but it hit the right spot.